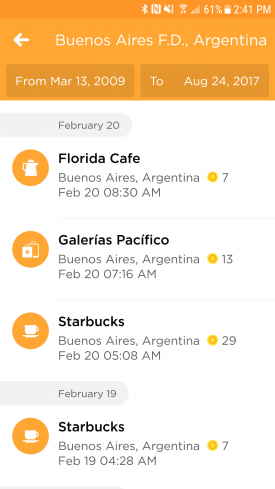 Foursquare recently released a complete revamp to their Swarm app focusing entirely on Lifelogging with regards to location and travelling and I couldn’t be happier. 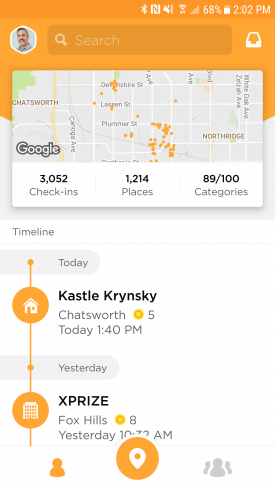 Location tracking is personally one of my most important Lifelogging data points and the new Swarm app provides immediate access to historical data and aggregated insights as well. The new interface is clean, intuitive and extremely functional. A Search Bar sits atop most screens. From here you can begin typing anything and the search results will begin appearing in realtime organized into groups by categories, locations, and places. Then let’s say you tap a location from the results you are then presented with a screen that will show all the check ins at that location within a date range that you can modify to search more granular if you want as well. This makes it very easy to pinpoint anything you are searching for. The Main screen will show all of your check-ins in reverse chronological order. You can click on a check-in to get more details on the location and get insights such as how many times you’ve checked in to this location category or city. You will also see any friends and the total times they’ve checked in to the location. 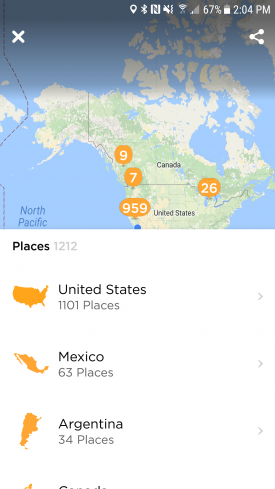 The Places screen will display a world map along with bubbles displaying the number of check-ins in aggregate based on a location range. You can pinch and zoom the map which will in turn display new bubbles. Below the map a list is dynamically generated starting with countries, and then in the case of the U.S. it will then update to display states and then locations as you pinch and zoom the map above. 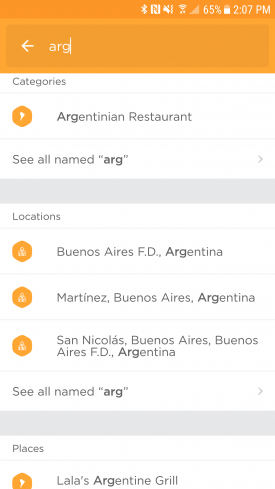 Any of the bubble or locations in the list below can be tapped to display more details. This is just another way that you can search your history in the context of a map instead of keywords which is a great option as well. 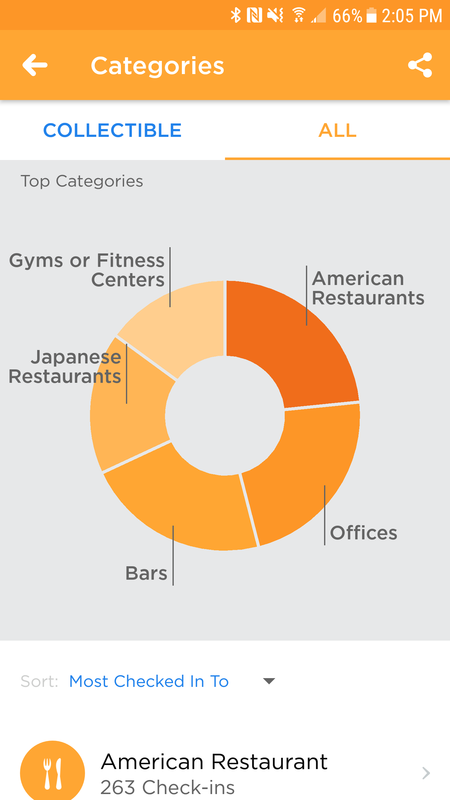 On the Categories screen you can get a pie chart showing your top categories and below the chart is a list of every location category along with a total count of check-ins. 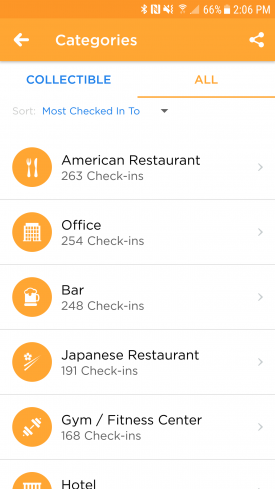 You can tap any of these categories to then get a reverse chronological list of your check-ins and filter further with the previously mentioned date range filters. 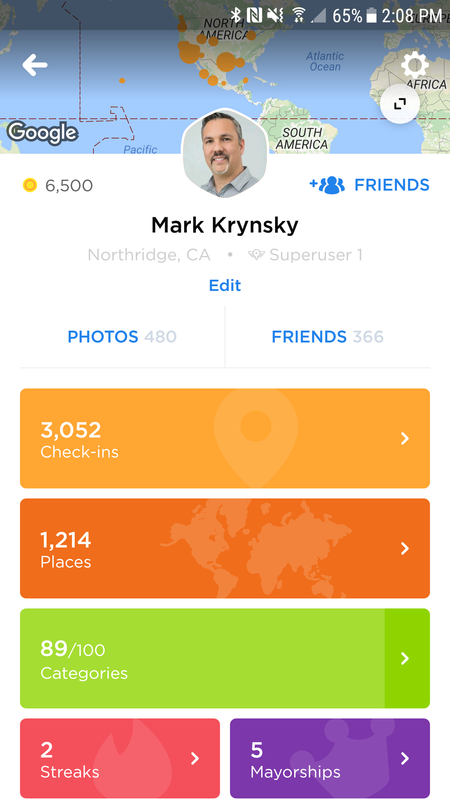 The User Profile screen provides a nice overview of total Check-ins, Places, and Categories. Friends can view this page and then tap and navigate each of these screens the same way you can for yourself as mentioned above. This lets you explore friends profiles in a very detailed way which I think is great. Below that section they display your photos, friends, and stickers. The stickers are also accompanied by streaks and Mayorships which are part of the gaming aspect of the app. 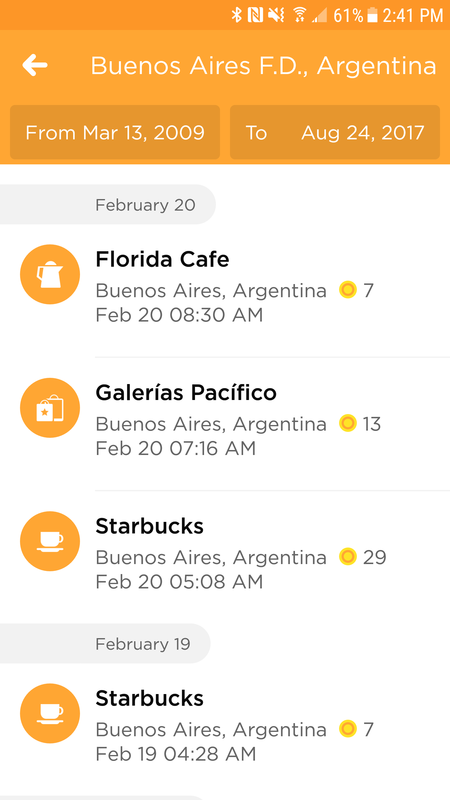 After using the app for about a week one feature that I’m not sure remained is the passive location tracking allowing check-ins at a later date. This provides a list of places you visited that but didn’t check-in allowing you to add them add a later date. I’m a big fan of that feature and while I was able to click on a previous notification that leads to the old screen I have yet to see any locations appear there or get a notification on the new version. 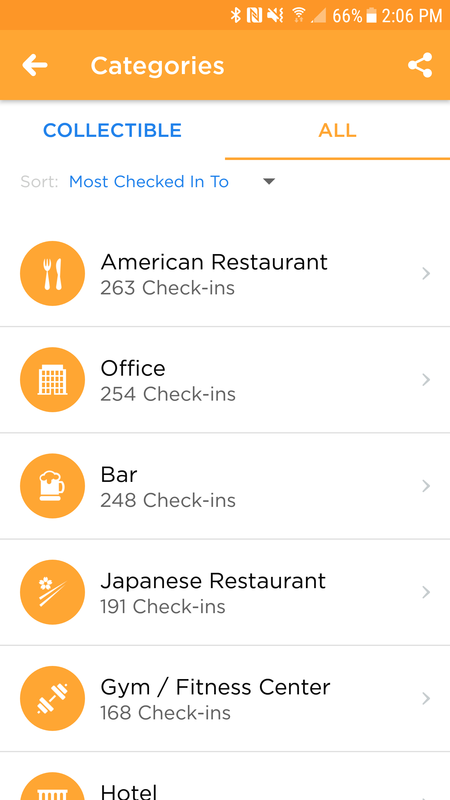 I find this feature to be very important as I tend to not check-in everywhere I go and having that ability is nice. The passive tracking feature is something that I’ve used in the Moves app as a way to supplement my Gyroscope data but that app has been very flaky for me on Android. My favorite passive location tracking is through Google Location History because of its ability to passively track data accurately and provide such a detailed history and ability to export the data. 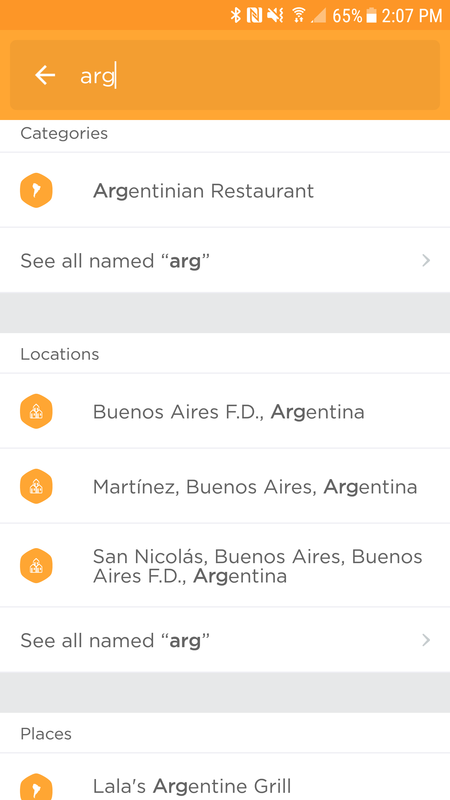 You can read more about the history of Foursquare’s location tracking and reasoning to take Swarm in this direction by reading Dennis Crowley’s post. You can also get a behind the scenes look at how the product design came to be in Swarm 5.0 by reading Greg Dougherty’s post as well. If keeping an accurate history of the places you’ve been is something you’d like to do I highly recommend adding the Swarm app to your suite of Lifelogging apps on your phone.